Think about how simple it is to click a button on your car’s key fob and unlock the door. It may be a minor piece of technology, but when you’re stuck juggling a to-go carrier full of hot coffees and an arm full of presentation materials, being able to beep a button to unlock can make the difference between spilled drinks and a great Monday morning. Have you ever wondered why we don’t have the same option for our homes? It may not be as simple as a button on a fob, but there is a door lock alternative that allows you to ditch the keys and keep the same level of security on your home! 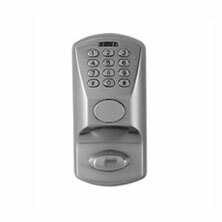 Keyless locks, or keyless entry systems, offer the security of a deadbolt and the ease of a car fob for any door to your home. 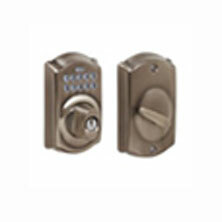 Keyless entry systems can replace just the deadbolt or both deadbolt and knob, depending on your preference and, once it has been programmed, only needs a quick code to disengage and open. Sounds pretty ideal, right? If you’re looking for the downside, you can stop worrying. The biggest reason keyless locks aren’t on every home is because most people don’t know they exist—or they assume this is a security option meant only for businesses. 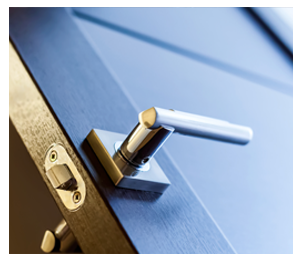 Fortunately, keyless entry manufacturers make options for residential use, not just commercial, so you can add this security to your home easily; there are even a variety of different finishes so you can match the hardware already on your home. Keyless entry systems will replace the deadbolt on your door, so you don’t lose any security when your door is closed and locked—and many keyless entry systems will lock automatically after a few minutes, so you never have to worry about whether you locked the door. 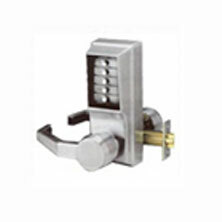 In fact, because keyless deadbolts are harder to crack and generally impossible to pick, they serve as a pretty good deterrent for potential home theft. 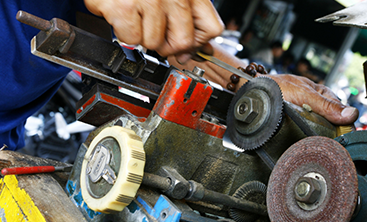 At Destin Locksmithing, we take the time to ensure your keyless entry locks are installed properly and show you how to program in codes. Want to keep track of your teen’s curfew without staying up all hours? 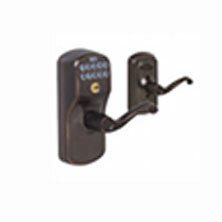 Keyless entry systems allow you to create multiple codes and track when each code is used. If you choose a system that connects to your home internet, you can even get text or email notifications when codes are used, so you can be sure your teen makes it home on time. With wi-fi connected keyless locks, you can also keep tabs on whether someone is entering your home who shouldn’t be, which can help stop home burglaries from happening! 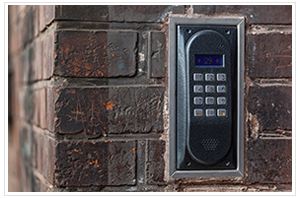 Get rid of time constraints – With a keyless entry system, you can simply give your renters a code to get in, which saves them the hassle of aligning travel plans with the hours your property management company is open. 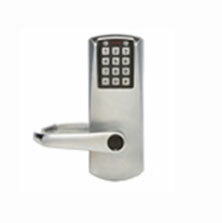 Reduce potential loss – Not only is a keyless door lock as secure as a deadbolt, getting rid of keys means you don’t have to worry about copies of keys getting dropped in the ocean, picked up by opportunistic strangers, or duplicated without your knowledge. 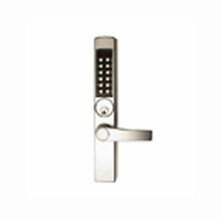 Keep track of entries – Many modern keyless entry systems allow you to program in more than one code. This way, you can have a code you use for your family, one for the property management company and cleaners, and one for guests. The system will track when codes are used so you can keep track of who is entering, and when. Change codes remotely – If you live a fair distance away from your Destin vacation rental, you’re in the same boat as so many other owners. Many keyless entry systems today can connect to the home’s wi-fi, which means you can access everything about the lock remotely. 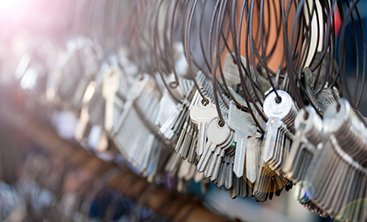 For many vacation rental owners, this means creating individual codes for different renters which will expire and no longer be usable once their rental time is over. 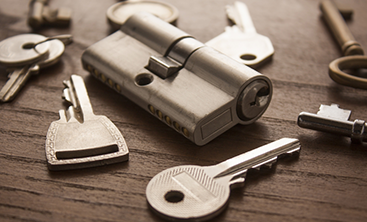 If you have further questions about how keyless entry systems works or you’re ready to secure your home, contact the experienced locksmith team at Destin Locksmiths to get started!